Ächerli Pass (el. 1398 m.) is a high mountain pass between the cantons of Obwalden and Nidwalden.It connects Kerns in the canton of Obwalden and Dallenwil in the canton of Nidwalden. The pass road has grades of up to 15 percent. From the road, peaks such as Pilatus, Rigi, Buochserhorn, Titlis, and Stanserhorn are visible. 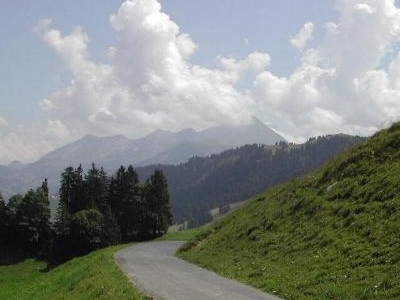 Here's the our members favorite photos of "Mountain Passes near Alps". Upload your photo of Ächerli Pass!